Solar Power Will Continue To Advance As Humanity's Need For Renewable Power Has Been Pushed To The Front Line Of Our Energy Policies. Solar energy is a vast and unlimited natural resource which is more popular than ever. While the cost of living continues to rise, more and more homeowners are looking to convert to solar. Whether you are hunting for a new property or remodeling your home, solar energy is on the radar, but there are still many questions which need answering before anyone commits to converting to solar. A module, more commonly known as a solar panel, is a group of cells connected electrically and packaged into a frame. 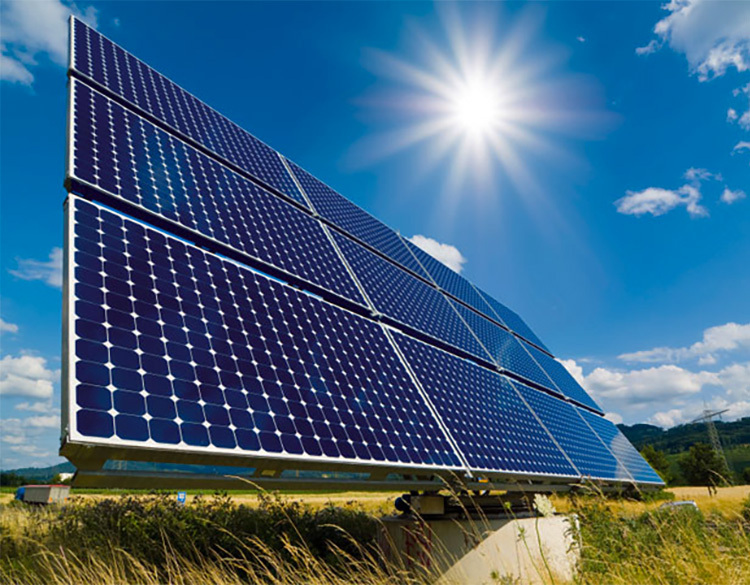 A solar panel is made up of small solar cells, each made of semiconductor materials, such as silicon. Basically, when light strikes the cell, a certain portion of it is absorbed within the silicon. This means that the energy of the absorbed light is transferred to the semiconductor. Electrons are then knocked loose from the atoms in the semiconductor material. If electrical conductors are attached to the positive and negative sides, forming an electrical circuit, the electrons can be captured in the form of an electric current. A solar energy system requires that your home or business be in a position to gather enough sunlight in order to convert it into energy. Whether or not your home or business is a good fit for solar panels will depend on a variety of factors. For example, if you live in a northern climate but your roof surface faces south, you may be in a good position to attract solar energy. You may however not be in a position to gather enough solar energy to fuel your electricity needs if your home is among shady trees. Also, if your roof is rather small, you may not have enough space for solar panels large enough to meet your energy requirments. Will I Need To Adapt My Home Or Business? 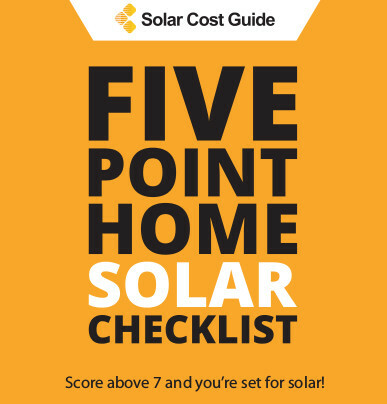 Converting your home to solar energy is a financially sound move. When you decide to convert your home to solar power, the first thing that you can do is to make your home as energy efficient as possible. You do not want to install more solar panels than you actually need. Once the energy system is installed, your home will use renewable energy, but in exactly the same way. This means that you will not need to change your electrical outlets. Everything will work the same as it did before. The biggest change to your home or business will be the presence of the solar panels. You will not even need batteries, as solar power panels are connected to the public utility grid that currently powers your home. It depends on how much electricity you use. The typical home in America is said to require a 7.5 kilowatt system. This is based on the fact that the average American home uses 30 kilowatts per day. Your home or business could require more or less than average, depending on several factors, and therefore your electricity needs will determine the right system for you. Always keep in mind, however, the actual size of your roof and number of solar panels it can inevatibly accomodate for. While the harnessing of solar energy for use has improved with age, most experts do agree that existing products are more than sufficient to meet the energy needs of the average home or business. Remember, the future advances in solar technology will take existing systems into account. Upgrades will more than likely become available in the future. Other than general cleaning, there is no regular maintenance required, but you have to keep your solar panels clean. A clean solar panel is an efficient solar panel, no doubt about it. If your panels are dirty, less light will be absorbed. No problem considering how easy it is to clean your solar panels, should you be able reach them. If not, you should be able to have the company who installed the solar panels do the job. Make sure your system is well cared for, kept clean and free of any debris. The fossil fuel supply is finite, but as long as the sun burns, it will generate solar power. Improvement in solar panel technology has increased the reliability of solar power and now builders fit solar panels to homes daily. The good news is that, if your home or business has been deemed fit for solar panels, you will be assured of a reliable energy source. Solar power systems have proven to be dependable for large office buildings, mass retailers and governmental agencies across the country. Some of the largest companies in the world have buildings powered by solar energy. Think of your solar panel system in partnership with your local electricity grid. Through net metering occurs, the surplus power you generate can be transferred onto the grid while power can be drawn from the utility grid at night. A battery bank can also be used to provide you with power in the evenings. Your solar system produces more energy in the summer, when energy rates are highest. When your solar power system generates more electricity than your home can immediately use, your excess power flows back to the utility grid. Your meter will literally spins backwards! Most utility companies will pay or credit you for this electricity. Because your solar power system produces the most electricity during “peak” hours when the utility rates are at their highest, you can sell excess electricity at high peak rates. You can then buy back electricity at lower “off-peak” rates at night. You don’t necessarily need batteries. When there is a blackout however, your system will automatically turn off. This is a safety requirement by the utility company so that technicians can safely repair the electrical lines. Remember, your solar energy system is connected to your local grid.To keep your solar-panel electricity running during a blackout you will need to invest in a battery back-up system. If you live in a geographic area where power outages are relatively common, you should probably consider a battery back-up system. The sun has been around for billions of years and will be around for billions more. It is a clean, renewable source of energy with enough energy to power all our requirements for as long as we want. Solar energy has the ability to operate independently or in conjunction with traditional energy sources. Solar is therefore fully integrated into our current energy, but outperforms non-renewable sources. Solar power will continually be developed because it is the way of the future. 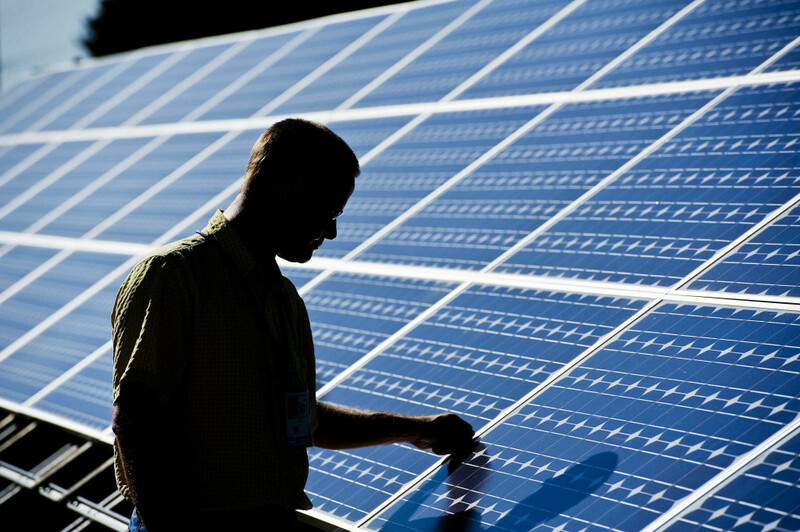 Solar energy’s future looks bright.